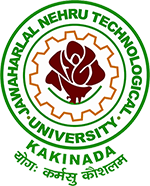 JNTU Kakinada has announced B.Tech/B.Pharmacy 4-2 semester (R10,R07,R05) Advanced Supply Fee Notification June 2016 on 11th june 2016 at jntuk.edu.in. Applications are also admissible up-to one day before the Examination with a fine of Rs.5000/- * (Application to be submitted at JNTU Kakinada). Note : Laboratory/Project Examinations dates should be Conducted between Schedule on 07-07-2016 to 09-07-2016. All the above Examinations will be conducted at the respective colleges. For More Details visit JNTUK Official Website Or College notice board. will u plezz cundect grand suppely r10 regulation…. 4-2supply results eppudu sir pls release it..